Men, make plans now to join other guys from Pathways at the 2019 Spring Retreat held at Silver Birch Ranch on May 3-5. Silver Birch Ranch's Men's Retreats are a great time of fun, fellowship, and growth. Every year in the spring and fall, men from all over the midwest converge at Silver Birch Ranch. The weekend is filled with activities and teaching geared to meet men where they are at in life, and tackles issues that they face. Large group meetings are only the start, as life-changing messages are driven home throughout the weekend. 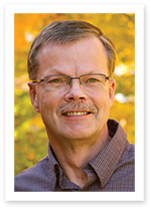 Dave, the president of Silver Birch Ranch, is our featured speaker for our SBR Spring Men’s Retreat. He has been a part of Silver Birch Ranch since its beginning in 1968, and has been involved in the year-round ministry of SBR for over 36 years. Dave’s motivational teaching is driven by his personal desire to know God’s Word and to apply it to every dimension of his life. His heart is to see men make life-altering decisions in response to the truths of the Bible. Dave and his wife, Linda, of 39 years, have two adult daughters. All payments handled directly through Silver Birch Ranch via the link below. When registering, select "Pathways Church" to be housed with other Pathways men.